200 Watt Solar Panel Kit is ideal for customers who want to enjoy more than the 130 Watt Solar Panel Kit. It also provides 24hrs power supply for home appliances like Television, Laptops, lighting, fan, and charging of phones. The 200W solar kit is a do-it-yourself solar panel kit, which is affordable for home or offices, that need to power a good number of home electrical appliances. It includes a portable solar panel, 1000VA inverter, 100Amps 12V battery bank, 10A charge controller, 10 LED light bulbs, electric cables, mounting equipment for each panel, and branch connectors as needed. The 200 Watts Solar Panel Kit, a diy home solar system. This home solar panel kit is an improvement on the 130 watt and 150 watt Solar panel kit. 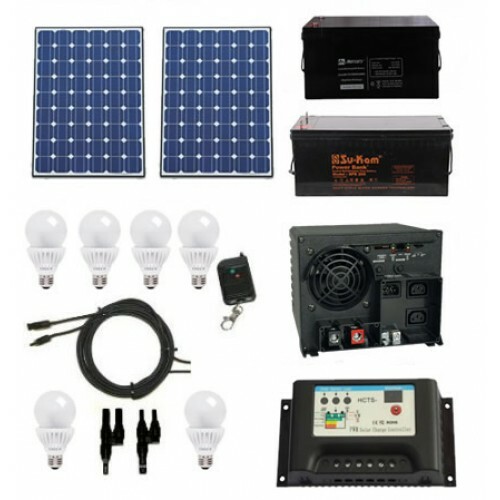 If you are looking for a solar system to power your home or office appliances, the 200 watt solar panel kit is the answer you've been looking for. Buy Solaroid Energy cheap solar panel kits and enjoy uninterrupted and reliable power supply. We sell affordable diy home solar power kits and inverter kits for N179,999. The monocrystalline 12V 80W Solar panel is safe, clean, reliable source of energy. The 80 Wat..